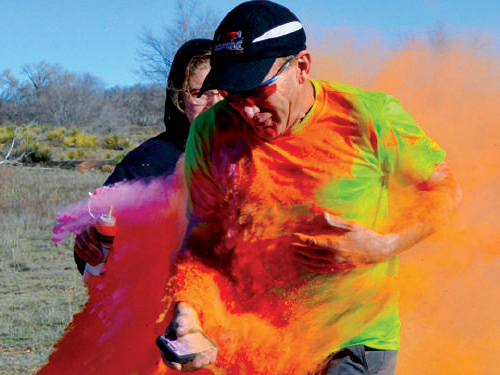 The Dalhart High School Interact Club hosted their annual Color Run Saturday morning. Interact clubs bring together young people ages 12 through 18 to develop leadership skills while discovering the power of Service. Interact clubs organize projects every year, and Rotary club sponsors mentor and guide Interactors as they carry out projects and develop leadership skills.